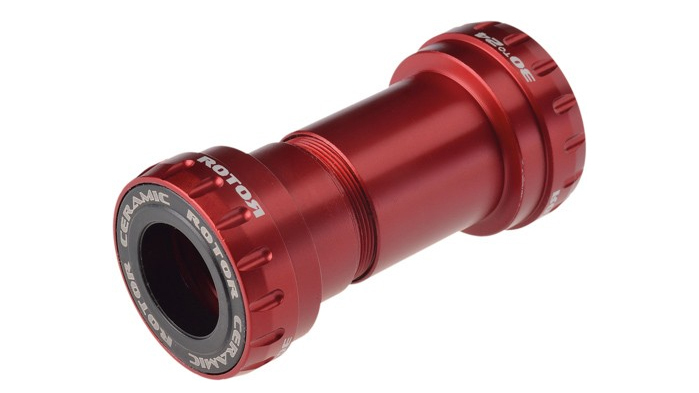 The Rotor BB30 to BB24 adaptor will allow you to adapt your BB30 frame to accept cranks with 24mm spindles (like Shimano and Rotor). Now you don't have to trade out your trusty Dura-Ace cranks for something less appealing. Using Rotor's new, non-contact labyrinth seals, they have been able to achieve a buttery-smooth feel along with unparalleled protection against dust, water and mud. Ceramic bearings ensure long life and smooth operation. Compatible with all conventional BB24 cranks manufactured by ROTOR, Shimano and Shimano-compatible brands.